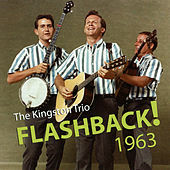 Though you'll find them in the Folk section of the record store, the Kingston Trio's footing in the Folk community has always been shaky. Like an illegitimate child, Folk aesthetes acknowledge their relation only begrudgingly. The disapproval doesn't stem from the band's amateurism (originally, they were all self-taught) so much as their popularity. These West Coast performers brought the genre an audience far larger than anyone imagined possible. In the process, they made the recording industry more amenable to the prospect of signing and promoting other rising Folk stars like Pete Seeger, Peter, Paul and Mary, and Bob Dylan. 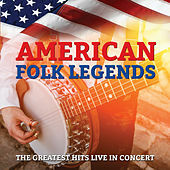 In contrast to the first person confessionals which have characterized folk in recent decades, the Trio always preferred to perform traditional songs rooted in history. They are bards in the true sense of the word, passing down the oral heritage of our collective past.